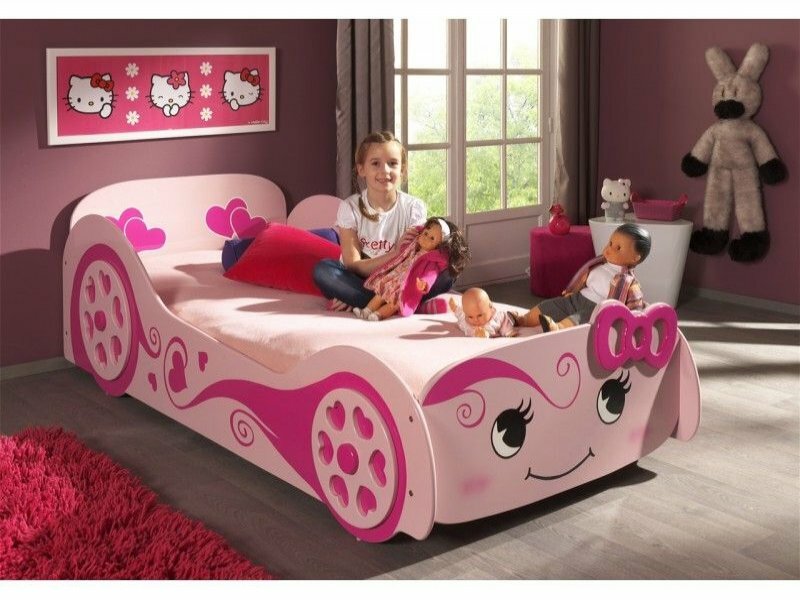 The Pink Princess Car Racer Bed is sure to delight every little princess in every family with its whimsical pink finish. Bedtime will be a delightful experience with this gorgeous bed frame. Let your little princess dreams of becoming a world champion racer come true in this fantastic Princess Car Racer. Witness the biggest smile across the face of your princess as she climbs aboard and races away to her dreamland. This gorgeous bed is finished to look like a breathtakingly amazing racing car bed with its pretty pastel pinks and beautiful car design. It is a must have for your little princess.